Mike Ryan was born right before midnight on January 7th, 1967, at Fort Sam Houston’s B.A.M.C. (Brooke Army Medical Center), while President Johnson was upstairs being treated for diverticulitis. He was raised in San Antonio, Texas, but travelled frequently to visit his father, who was in the Air Force. Over the years Mike became very fond of both Native American culture and Mexican culture, and attributes his strong connection to the land of South Texas and Louisiana to the traditions of those cultures. Mike grew up in a musical household; his mother played piano and his older brother had a vast record collection. He listened to blues, rock, jazz, classical music, gospel, country, Irish ballads—any and every kind of music he could lay hands on. Mike started teaching himself guitar at age 13 when his stepfather left both the family and his cheap guitar behind. The guitar was and is both a source of fascination and frustration to Mike on many levels. “I love guitars, especially left-handed guitars. I wanted to be in KISS when I was in fourth grade, my friends and I would ‘borrow’ makeup and pretend we were in KISS,” says Mike. By 7th and 8th grade, Ryan was playing in garage bands with his mates from Kitty Hawk Junior High. By age 16, they had their first professional gig under the name Newspeak, at Vitold’s Winery on North St. Mary’s Street, (later the site of the burned down Huey’s). They were hired to open for a break dance/fashion show that same year at the Majestic Theatre, and while the band was on stage waiting for the curtain to rise, the show was cancelled. Ryan joined or helped form other San Antonio bands, including Sage, Scooter Einstein, and Wax Poets. He started playing with Blake Smithson and Richard Garcia from Hondo Radar, and came up with the name Coyote Dreams for the new band, borrowed from a children’s book of the same name. Greg Goodman rounded out Coyote Dreams with his solid bass playing and contributions to the band’s songwriting efforts. As the result of the four way collaboration, Coyote Dreams won four Current Music Awards in 1995: Best Album for ‘Vuela;’ Band of the Year; Best Alternative Band; and Mike was named Best Songwriter. The following year Coyote Dreams won an award for Alternative Band of the year. They toured France that summer. Mike soon moved again, to upstate New York, and from that base he travelled and performed both in the New England area and in Ireland, England, and France. After another brief return to San Antonio, he spent the following five years in New Orleans, performing and helping to rebuild a great city in the wake of Hurricane Katrina. 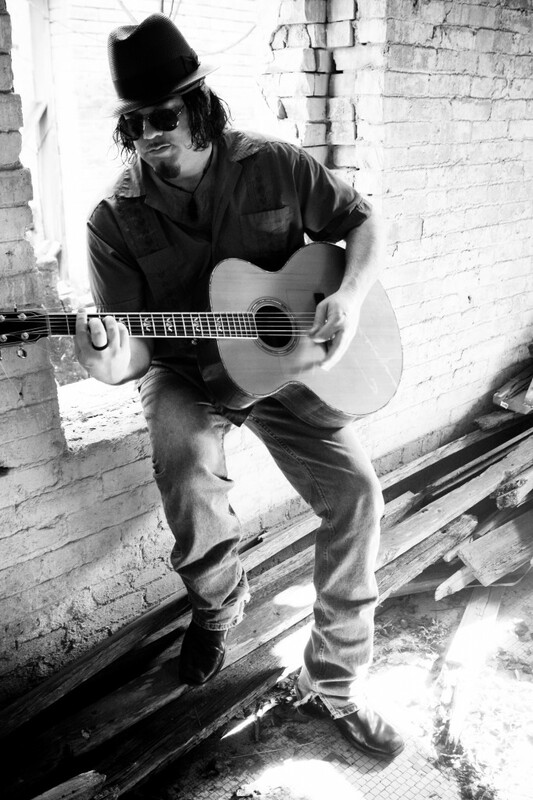 In 2011, Mike moved back to his beloved San Antonio to finish work his first solo album at Blue Cat Studios. The album, entitled The Fury, was released in September 2013.